Years ago, before the invention of the telephone, people would write and send letters to one another. Many, though, would still send cards for birthdays, Christmas, get well or just because. Letter writing became nearly extinct, however, after the advent of social media. Cards are sent with less frequency, as well. While it’s still a nice gesture to send someone a text or post to their Facebook walls to wish someone a happy birthday or let them know you are praying for them, there’s nothing like receiving a greeting card to brighten someone’s day. A card, particularly a handcrafted card, shows someone that you took the time to select or create something just for them. In fact, when I create a handmade card for someone, I pray for them while I’m creating the card. When a recipient receives the card, it is a reminder that you care for them. Most people will keep cards for quite some time and look at them again and again. Remembering, each time, the thought behind the card. This is particularly true for handcrafted cards. In my experience, few people throw away hand-created cards. 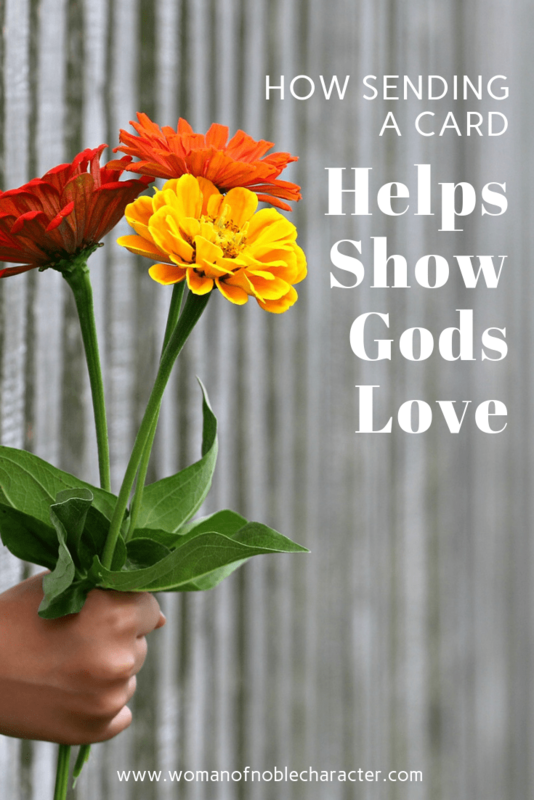 Sending cards for encouragement go a long way in showing someone how both you and God love and care for them. 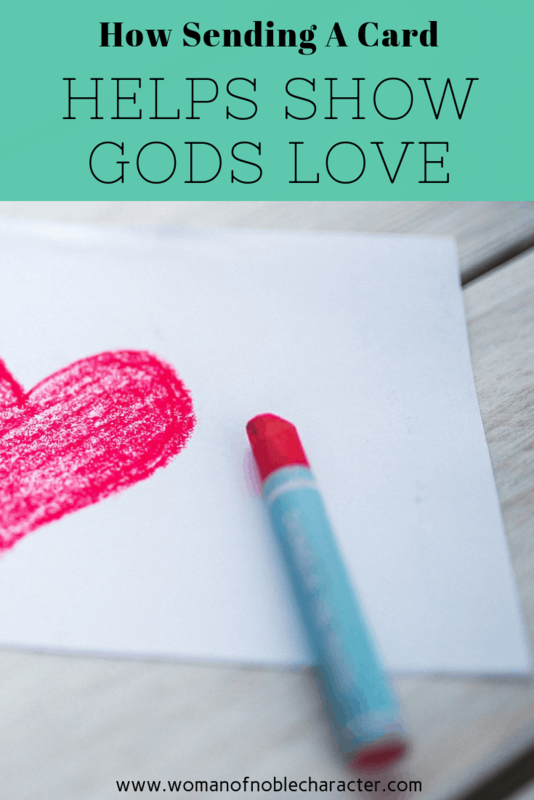 So, how does sending cards for encouragement help you demonstrate God’s love? Because encouraging others is so important to God, He doesn’t merely recommend it, but He explicitly commands it (1 Thessalonians 4:18, 5:11below; Hebrews 3:13 above). Sending cards for encouragement gives you the opportunity to share God’s love with the recipient. Your words have the power to build up another person. If they are believers, they will feel blessed by your encouragement. 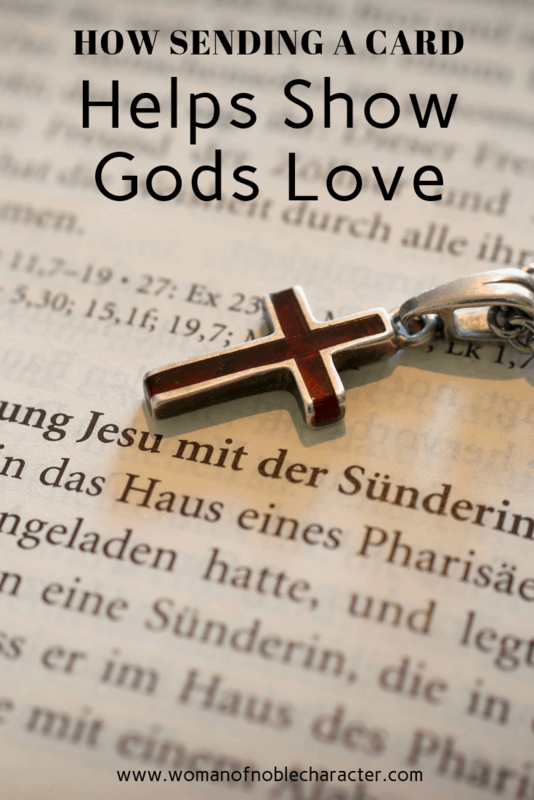 If they are not believers, you are demonstrating God’s love and the opportunity to let that person know of God’s love and saving grace. God commanded that His people encourage one another because He knew that we would need it. Jesus warned that “in the world you will have tribulation…” which He followed with much needed encouragement, “but take heart; I have overcome the world” (John 16:33). We live in a fallen, broken world where so much leads us to selfishness and despair. Sin takes away our joy, our bodies fail us, our plans get derailed, our dreams die, our resolves weaken, our perspective dims, we are faced with temptation. We know that we will faced and are promised suffering (1 Peter 4:12), persecution (John 15:20; 2 Timothy 3:12), and trials of all sorts (James 1:2-3). When encouragement is absent from our lives or the life of a church, people will feel unloved, unimportant, useless, and forgotten. God knows His people are in need of grace-filled reminders, which is why He calls us to encourage each other every day until His Son returns (Hebrews 3:13). 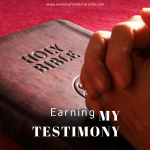 So What Exactly Is Biblical Encouragement? Biblical encouragement isn’t about complementing someone’s haircut or telling them how good their homemade chocolate chip cookies taste. That kind of encouragement is good, and important, but the encouragement the Scriptures refer to is explicitly Christian encouragement. Encouragement is an essential way of extending grace to each other. Happiness comes when we obey God’s commandments. Jesus Christ taught the first and the second commandments. He said, Jesus replied: “‘Love the Lord your God with all your heart and with all your soul and with all your mind. Then He said, “And the second is like it: ‘Love your neighbor as yourself.’ (Matthew 22:37, 39). We obey these commandments by serving others. That means we do or say something kind for them. Your thoughtful comments, even if very brief, can mean so much to a person. Just the act of sending cards for encouragement is something that is going above and beyond, and cost us hardly anything. 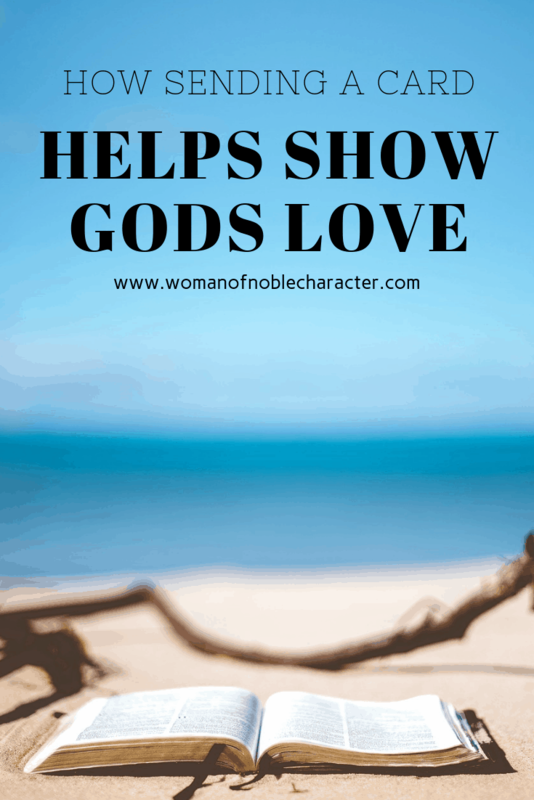 It is the most inexpensive way to send cheer and encouragement to others that need it. God is working in ways that we can’t begin to understand or imagine. You can trust in Him and know that you are in my thoughts and prayers this week. Praying that God fills your heart with peace and comfort, and give you hope for the future. Know that someone is praying for you today and that God will never leave you nor forsake you. Sending loving thoughts and prayers to you today. I pray that God reassures your heart today. Know that you are loved and that God is near. Hang in there during these hard day. God knows all you are going through, and you can know that prayers are going up for you. You can count on me to pray for you today. I know God is with you and hears our prayers. Know the Lord is always near, and that you are never alone. Praying for you today. Even when times are hard, and our days seem dark, God can shine his light into our lives and give us great joy. I am praying this for you today. Praying today that you will be filled with the hope of God’s love, joy and peace. If you should ever feel alone or afraid, know that God is nearer than you think. Praying for you today. 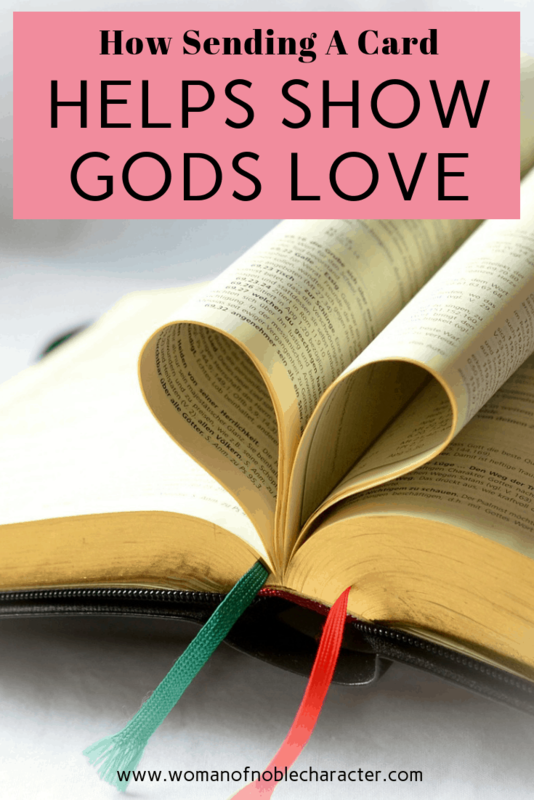 God so loved the world, and that includes you! Have a great day today. Praying that you will feel the presence of God in a very real way today, and that you will draw strength and hope as you trust Him to be your comfort. May God Bless your day today – Praying for you and praying your faith will see you through these tough times. You are in my prayers, and I pray that you feel the presence of God’s love, and the joy and hope of His salvation. Praying that God’s faithfulness will strengthen your heart and answer your every need in the days to come. God Bless you. This little greeting comes your way to bring the warmest of wishes to brighten your day! Sending encouraging thoughts to a very special person today – You! Have a great day. Do you send cards for encouragement? Or write letters? For ideas and inspiration on handcrafted cards for you or a card ministry, visit my sister site So INKing Cute. Don’t want to make your own cards? Dayspring has an amazing collection of Christian greeting cards for all occasions and they ship FAST!. Do you enjoy other forms of creative worship such as Bible journaling or art journaling?